Bluebridge are the new sponsors of the popular Stop n Stay zone at New Zealand’s largest annual motorhome, caravan and outdoor expo, the Covi SuperShow. Being held next month in Auckland the Covi SuperShow had a record 19,000 people through the gates in March last year, a number organisers believe will be broken again next month. A decision to launch a passenger service that gave travelers a true Kiwi experience when crossing Cook Strait and wanting to introduce competition to what was a monopoly market saw Bluebridge passenger services launched in 2002. Catching the ferry between Wellington (in the North) and Picton (in the South) with Bluebridge is a real treat. 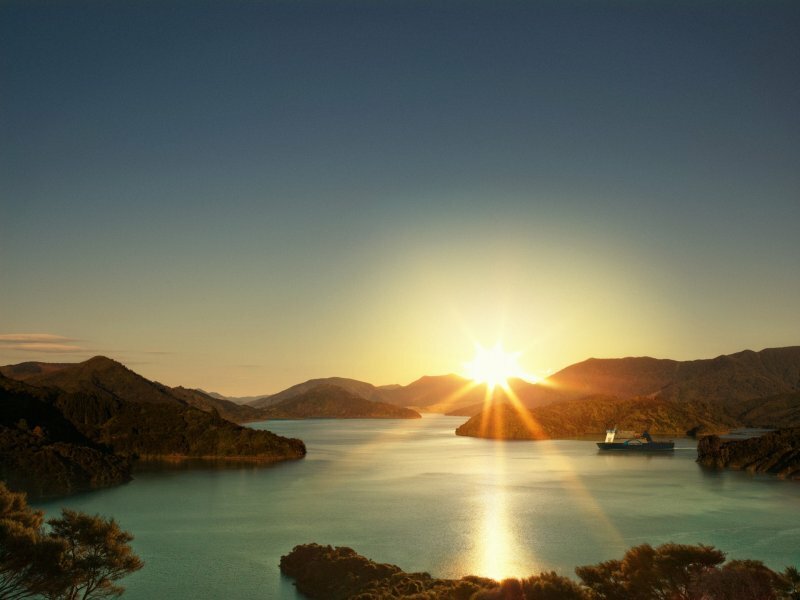 Passengers enjoy warm kiwi hospitality, can kick back in their very own private cabin, catch a free movie and refuel with great coffee, freshly baked treats or the Cook Strait classic, hearty fish 'n' chips. The Bluebridge crew are looking forward to this year’s Covi SuperShow. Visitors can see them at the Bluebridge Stop N Stay area and share their latest adventure across the strait. Bluebridge are long-time supporters of the motorhome and caravan industry with their strait savings with their special low and flexible fares exclusively for NZMCA members. To meet the increasing demand for space at this year’s Covi SuperShow organizers have had to introduce two new Halls and a new marque that will feature a dedicated accessories area. Held at the ASB Showgrounds in Greenlane Auckland between 16 and 18 March, the Covi SuperShow features the best motorhomes, caravans and accessories from New Zealand and around the world with a number of exhibitors choosing to exclusively launch new models and products at the show each year.